The Rural Rambler: Gifts for the Rambler on Your List - Shop Rural Action for Your Last Minute Gifts! 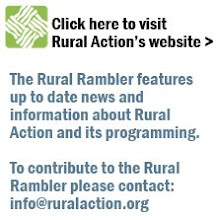 Gifts for the Rambler on Your List - Shop Rural Action for Your Last Minute Gifts! Still missing a gift for that special someone with time winding down? Fret not present procrastinator, the offices of Rural Action offer some great gift ideas and are ready to put the jolly under your holly! Check out these great gift ideas that help support the work of Rural Action. Monday Creek Restoration Project offers Shirts, Mugs, and Hats all with the distinctive Monday Creek logo. Show your support for a cleaner watershed and stop by the office at 115 W. Main in New Straitsville (map). Give them a call at 740-394-2047 or stop on by to check out their wares. Sunday Creek Watershed Group is still searching for the funds to order a new batch of shirts, but they do still have an unusually long lasting supply of their beautiful blue shirts in a child's medium. A distinguished design featuring Sunday Creek's mascot, the Orange Throat Darter, these shirts would make a wonderful present for the little minnow in your family at only $15. Call Sunday Creek at 740-767-2225 or stop by the office (map) to get yours today! Also, for a limited time, Sunday Creek Watershed Group will be selling handmade ceramic pendants created by local artist Jim Hart. These lovely pieces were made right here in Sunday Creek and come to us as part of Art of the Sunday Creek Community. See a sampling in the windows of the Sunday Creek office and stop by to browse and pick one up for only $12! As a bonus, $2 from every sale goes to help keep the Sunday Creek office up and running, thanks Jim! Huff Run Restoration Partnership has entered the fray with an item to put all the rest to shame. Their beautiful aluminum water bottles, emblazoned with the Huff Run logo are a practical, stylish, and smart way to keep yourself hydrated and show your support for clean water every day. Check out Huff Run's website to find out more and pick up yours at the office (map) for the bargain price of $15 before it's too late! Lastly, we would be remiss if we didn't mention the wonderful offering from Ohio Landscape Productions. Friends of Rural Action, Ohio Landscape Productions has put together a new, and touching, film documenting the life of legendary naturalist Ora Anderson. First mentioned in the Rambler here, this film and book set have been enjoying screenings all over Southeast Ohio to wide acclaim. And, as an added bonus, anyone who purchases this set for $25.00 will see a matching $25.00 contribution made to the Ora E. Anderson Conservation Fund courtesy of an anonymous donor! In a season of giving, this gift makes it easy. That's all for now, if you're still stumped for ideas check back to some of our earlier posts and if you know a place we haven't mentioned please let us know in the comments. 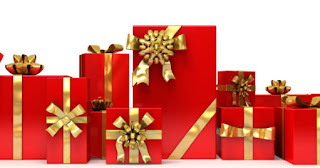 Good luck out there Rambler readers and may the spirit of the season guide you to the perfect gift.